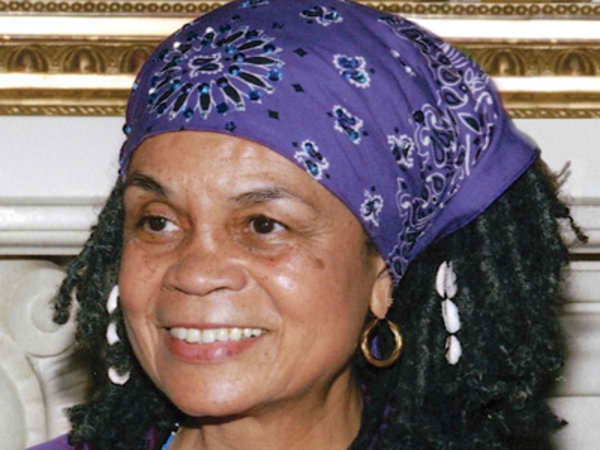 Sonia Sanchez, 77, will be named Philadelphia&apos;s first poet laureate. "People are saying, &apos;This makes sense, because people have been calling you the unofficial poet laureate for years,&apos; " Sanchez said. "And I say, &apos;Well, the people are always way ahead of the government.&apos; "
The position was Nutter&apos;s idea; he announced the creation of the poet laureate program on May 3, during a Sanchez reading at City Hall. Over the summer, Nutter charged Gary Steuer, chief cultural officer in the Mayor&apos;s Office of Arts, Culture, and the Creative Economy, with assembling a committee to consider candidates and determine the term and duties of the position. Sanchez moved to Philadelphia from New York in 1976 - "I like to tell people it was 1776," she quips &dash; and soon became prominent in the city&apos; political and artistic life. Her list of honors, as long as her list of publications, includes a PEN writing award (1969), the National Endowment for the Arts Fellowship Award (1978&dash;1979), and the American Book Award (in 1985, for Homegirls & Handgrenades). Sanchez&apos; first duty as poet laureate will be to read a poem at Nutter&apos;s second inaugural on Jan. 2. She will also select a youth poet laureate, whose term begins in July; she will be that poet&apos;s mentor. She will also engage in a variety of civic and community functions. When her term is up in late 2013, "the position will become competitive," in Baylson&apos;s words, "although the details haven&apos;t been hashed out quite yet." Reaction in the poetic community was uniformly delight. Kimmika Williams&dash;Witherspoon, a poet and associate professor of urban theater at Temple and former teaching assistant of Sanchez&apos;s, said, "Sonia has always been an icon in the city, and I&apos;m glad the city recognizes the treasure she is. It&apos;s a remarkably good choice and may help raise our profile as a literary center. &apos;That Philadelphia has taken this step, declaring the importance of poetry to civic life and polity, makes me very happy, said Al Filreis, professor of English at the University of Pennsylvania and faculty director of Kelly Writers House who is also a member of the selection committee. "I&apos;ve lived in the city for 26 years now and have never felt our poetry to be as diversely alive as it is now." Contact John Timpane at 215-854-4406, jt@phillynews.com, or @jtimpane on Twitter.